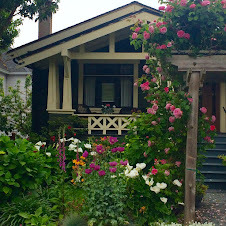 hostess of the humble bungalow: Hey Jude...we're talking about roses today. Commenting on and sharing adventures and experiences of everyday life living in a humble bungalow and on my walks. Hey Jude...we're talking about roses today. a classic song and a classic rose. David Austin's stunning rose "Jude The Obscure." In our Humble Bungalow Garden of roses Jude stands out head and shoulders above the rest. It is no secret that it remains my favourite. There are so many wonderful roses on the market and by no means am I an expert...far from it. I'm nothing but a passionate rosarian. at The Gordon Head Garden Club Exhibition back in the early 2000's. Our name was engraved on a Vintage Silver Rose Bowl and we had the extreme pleasure of having it reside in our Humble Bungalow for a year. don't compromise your basic preferences and get swayed by the first beautiful blooms that you see as there are many! There are oodles of roses on the market today and a little research goes a long way. Always buy hardy plant stock from a reputable grower. The David Austin website is a fabulous place to start. you'll need to dig a hole and pop in some organic compost before setting the rose into the hole. Make sure that you like the way it is oriented before filling the hole with dirt. Stamp your foot down all around the base of the plant to press the soil in. Make a ridge of soil in a circle around the base that helps keep the moisture near the roots and water well. Roses are greedy guzzlers and when they are getting established they like a drink every day! They like lots of good nutrition and if they are well fed they are more resistant to bugs. Some gardeners like chemical fertilizers I prefer to utilize natural aids. Banana peels and Epsom salts once a month provide great results. Dig the peels into the soil and sprinkle the base with a handful of salts before watering. If you water in the morning you can usually keep black spot at bay. It loves to attack and take hold when the roses go to bed wet at night because the leaves don't dry out until the following morning. We often water in the evening as we have water restrictions so just be prepared for it. If the leaves are peppered with black spot pick them off and do not add them to your compost bin if you plan to use it in your beds in the future. Aphids can be washed off with some soapy water in a spray bottle or buy some live lady bugs. Prune back the stem to a leaf formation of 5 leaves and cut using clean sharp secateurs. Oh and when you prune your roses be sure to wear some decent rose warrior gloves so your arms do not fall prey to those prickly thorns! To learn more about growing roses you can go online to the various rose societies. 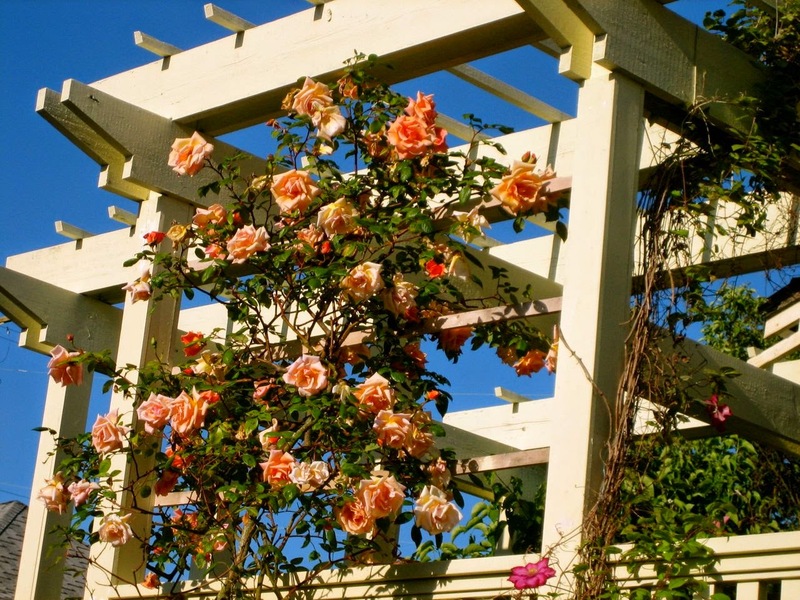 Brentwood Bay Nursery is a great place to find roses and they have a helpful website with links to clubs, roses and gardens to visit when you are in Victoria. As a rose lover I think that roses make a great gift. What a lovely way to mark a special anniversary, wedding or a milestone birthday. 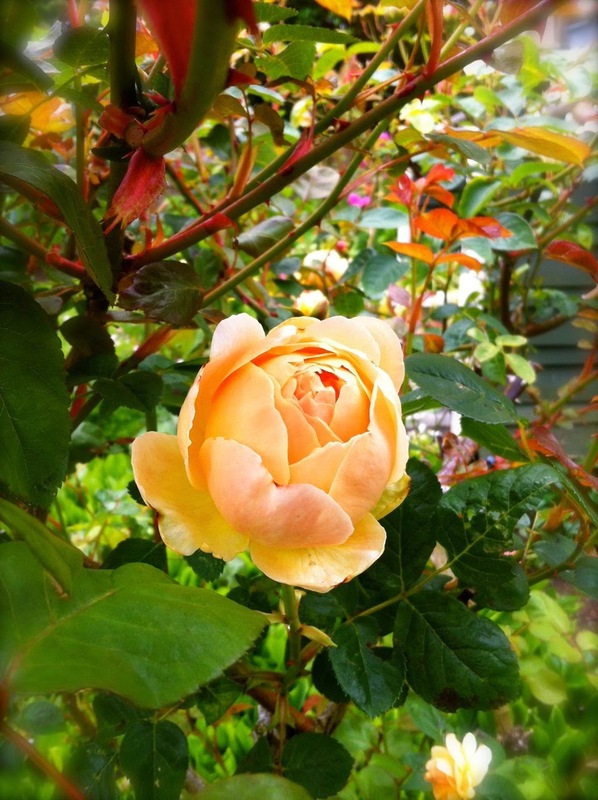 Climbing Royal Sunset is a lovely shade of apricot with a delicious rich perfume. Ours climbs up the sundeck which faces west. It blooms like mad and is incredibly hardy and disease resistant. What is your favourite rose? 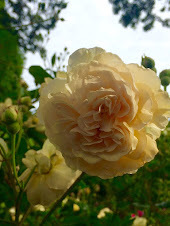 Hi Leslie, thanks for this primer on roses - I am not a gardener by any means, we are moving and the new house has no flower beds yet, so I need all the help I can get! A wonderful post! This is so helpful. We have grown roses for 25 yrs and is the first home that we are having trouble growing them at. I think they may be in too hot of a spot and not getting enough water. Our birch in the same area is dying too. We have decided to move the ones that are still thriving, clear the area, restore the soil and plant a redwood instead. My favorite rose is the David Austin Glamis Castle, but Eglantyne is new in my garden this year and may become my favorite! Thank you so much for this wonderful post with all these tips. Gosh Hostess I thought you were talking to me when I saw the title of this post "Hey Jude"! I do love roses but hubs is not fond of growing them, I might just have to plant one and tend to it myself. My favourites are pink roses but I have no idea of any names. I do love that climbing rose, it is SO beautiful! My favorite is Double Delight. Cream with pink tips. 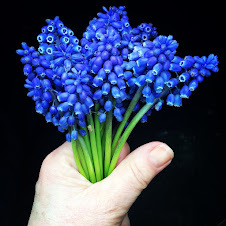 I don't have any favourites; as I've yet to plant any; but I sure will look at Jude the Obscure. I prefer pink, and orange, for my garden aesthetics. For cut roses I love Sterling Silver, and Leonidis (sp) I don't know if these are roses one can grow in their garden though? Love this. I've developed a fondness for apricot roses. All my poor roses died this past winter. I think I'll pick this one up. Your roses are so lovely! Jude the Obscure is one of my favourite books. Your roses are stunning and obviously thrive with your good care and expertise. Jude isn't so very obscure, is she? I do love roses and have a few plants in my garden. I am growing a Bolero rose in a pot and I think it needs to be put into the ground to really thrive. Your tips are so helpful. Lots of favourites - I had around eighty varieties at my old home, slowly building numbers up here, although a nine year drought put that on hold for a while. Some particular ones - Mrs Fred Danks, Baron Girard de l'Ain, Ophelia, Crepuscule, Lorraine Lee, Charles Ronnie Macintosh, R. rugosa, Blue Moon and Kazanlik. 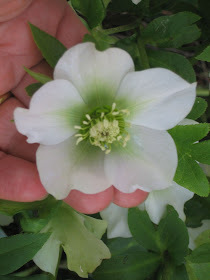 We had Jude in our French garden, and loved the formation of the flower and the slightly pineapply scent. One of my favourites is Zephirine Drouhin, the thornless rose. Living in Zone 4 most roses are too delicate to survive without more care than I have time to give them. I've finally settled on roses from the Canadian Explorer line as they are hardy to zone 2. It is quite a change to go from frail little bushes to massive explosions of blooms. The only remaining rose that needs babying is an unnamed climbing pink rugosa. The original plant belonged to my great-great grandfather so it is worth the effort. Absolutely beautiful . . . Wonderful post . . . helpful too . . . I remember a beautiful Rose I had at a home of long ago . . . New Dawn . . . loved the soft color. I love roses. I have only one David Austen; actually I am only babysitting it. I have very little sun so I must get creative when finding the perfect spot to plant. Thanks for sharing your rose knowledge. Right now my favourite rose is a yellow rose called Julia Child - beautiful! It has a light scent, and the colour changes from a egg-yolk yellow to a soft butter yellow. Visiting from Lorrie's today. I am a simple gal who really had great difficulty growing roses until recently. Now I have three rosebushes; two are the lowly knock-out roses...one pink, one red...I love them for their ease of care. My favorite is a coral Drift rose. I'm drawn to corals and yellows and it's very easy to see why your favorite is your favorite. It would be mine, too. Thank you for the tips...I'll be saving my banana peels today. Ah, I love my roses! And I love your favorites too! Do you ever use neem oil? I swear by it. I am also lazy and tolerate a lot of rose diseases as long as they bloom, and don't die:). What breath taking shots of your beautiful roses!! Looks like you have a new camera? What kind is it? 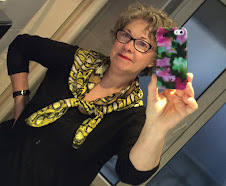 Visiting via Lorrie's blog. Your roses are so lovely and I appreciate the info. Spring brings such an explosion of beauty! Mother of 2, married, 64 years old grandmother, avid reader, gardener and lover of David Austin roses, restored and live in an arts and crafts bungalow now designated and on the heritage registry, loved cruising in our vintage Chris Craft near the 49th parallel, now we are riding the waves on board our 27 foot Sea Ray Sun Dancer, interested in French life and style, and trying to keep healthy while aging graciously and hopefully gracefully. Pretty in Pink...plants and plantings. Diane Keaton's "Let's Just Say It Wasn't Pretty"
Wardrobe update ~ summer style.